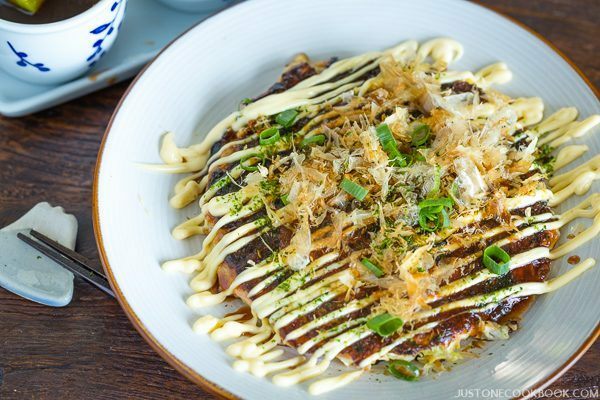 Okonomiyaki (literally means ‘grilled as you like it’) is a savory version of Japanese pancake, made with flour, eggs, shredded cabbage, meat/ protein and topped with a variety of condiments. Better known as ‘Japanese pizza’ in the US, you can definitely prepare the filling and toppings however you like it. A wonderful way to use up your leftovers! 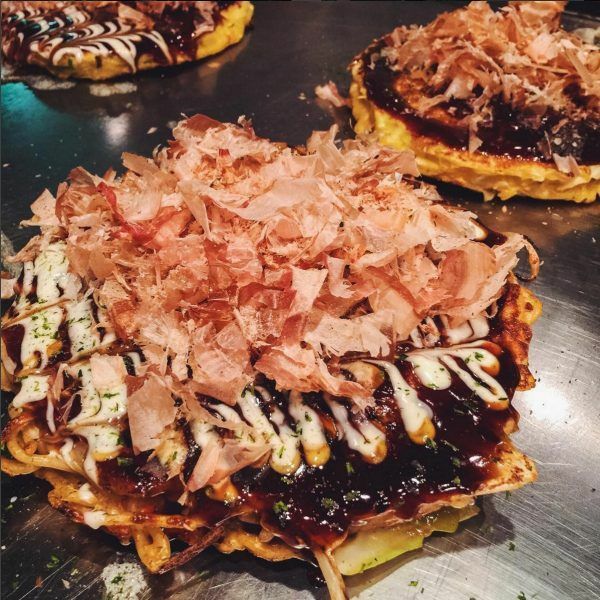 Among all the Osaka specialty, Takoyaki (たこ焼き) and Okonomiyaki (お好み焼き) are most well-known. 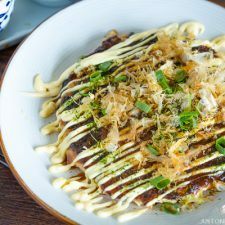 Today I’m sharing my favorite Okonomiyaki recipe with you so you can make this popular dish at home! As some of the readers know, I grew up in Yokohama (横浜). But did you know I was actually born in my mother’s hometown, Osaka (大阪)? Because of this, I consider Osaka my second home as I spent most of my school holidays there with my grandparents. Osaka is known for its inexpensive and abundant food culture. Since the old days, Osaka has been called “The Country’s Kitchen” (Tenka no Daidokoro 天下の台所) and a “City Extravagant in Food” (Kuidaore no Machi 食い倒れの街). 1) You can sit at a counter in front of a huge teppan where the chefs make them right in front of you. 2) You can sit at a table which has built in teppan, you can cook your own but the staff will help you make it if you ask. 3) The okonomiyaki is prepared and made in the kitchen and they place it on a teppan in front of you to keep it warm. Besides restaurants, you can also purchase steaming hot okonomiyaki at street vendors during festivals (matsuri). It’s not easy to replicate teppan grilling experience at home (unless you have one built in), and okonomiyaki made on teppan simply tastes better. This is why sometimes I still choose to go a restaurant even though I can make it easily at home. To make a really good okonomiyaki, there are a few ingredients that are necessary and it tastes much better compared to the ones that don’t include them. Some of these ingredients may be difficult to get outside of Japan. Hopefully soon in the near future these unique Japanese ingredients will be more easily accessible from all corners of the world. 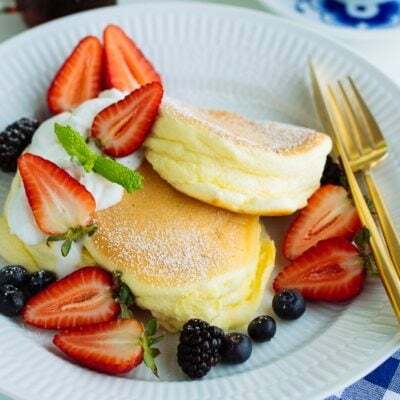 Nagaimo 長芋 / Yamaimo 山芋: This is a highly recommended ingredient to make the pancake fluffier. I’ve never tried it personally, but I’ve heard from my readers that grated potatoes or lotus root (grated on a fine grater) will work as well. You can also add silken tofu to create the fluffy effect. Either way, you have to include a “fluffy” agent so your okonomiyaki won’t be a doughy pancake. You can purchase nagaimo/yamaimo at most Japanese/Asian grocery stores. Tenkasu 天かす (tempura bits/scraps): This is another ingredient to make the batter fluffier. When you see “tempura scraps” you might be thinking can I avoid it? Well, I understand it is definitely not a healthy ingredient; however, many people in Osaka claim this is one of most important ingredients, next to Nagaimo/Yamaimo. If you can’t buy a bag of tenkasu from Amazon or Japanese grocery stores (convenient! ), you can make your own tempura scraps using the leftover batter. All you need is to drop the batter in hot oil and scoop up when golden brown. Some people online suggested to use Kappa Ebisen かっぱえびせん(Asian shrimp chips) as substitute. I haven’t tried that, but maybe it might work. Okonomiyaki Sauce: The taste of the okonomiyaki strongly relies on the sauce. 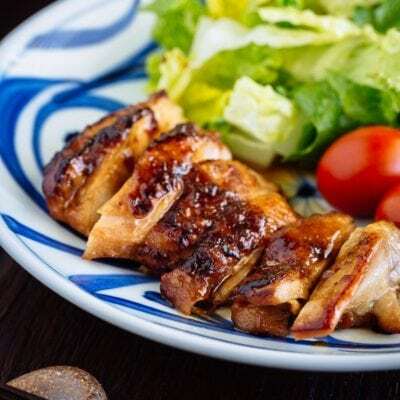 I love Otafuku brand’s Okonomi Sauce; however, due to many requests from JOC readers for homemade sauce, I came up with an easy sauce made with just 4 ingredients. This sauce actually tastes really good similar to Otafuku sauce, so no worries if you can’t get Otafuku’s okonomi sauce from Amazon or Japanese grocery stores. Japanese Mayonnaise: I understand many westerners don’t like mayonnaise and I am also not a fan of American style mayonnaise because it tastes rather bland. As some of you may know, Japanese loves (Japanese) mayonnaise and we do have quite a number of recipes that requires Japanese mayo. Osaka’s specialty, both Takoyaki and Okonomiyaki has squirts of mayonnaise along with the sweet savory takoyaki/okonomi sauce. But this is optional even for locals. Personally I love the combination of flavors from both sweet savory okonomi sauce and creamy and tangy mayo. I am aware that the popular Kewpie mayo includes MSG, but this is one of condiments that I can’t quite replicate yet with a homemade recipe. You can purchase Japanese mayo from Amazon and Japanese/Asian grocery stores. Katsuobushi (dried bonito flakes): Katsuobushi is shaved flakes of fermented and smoked bonito. It’s a super umami rich ingredient that we use it to make dashi (Japanese stock for miso soup and all kinds of Japanese dishes). These flakes are super paper-thin – when you sprinkle on top of the okonomiyaki, they dance along with the steam! You can buy it from Amazon and Japanese/Asian grocery stores. You can omit this ingredient if you absolutely dislike fishy smell. Aonori (dried green seaweed): It is dried green (Ao) seaweed (Nori) flakes/powder. This umami-rich seaweed has bright intense green color and has unique fragrant. Interesting fact: in ancient Japan, Ao (pronounce as [ah-o]) means green in traditional Japanese language (there were 4 colors; white, black, red, and green. These days, Ao means blue in contemporary Japanese). 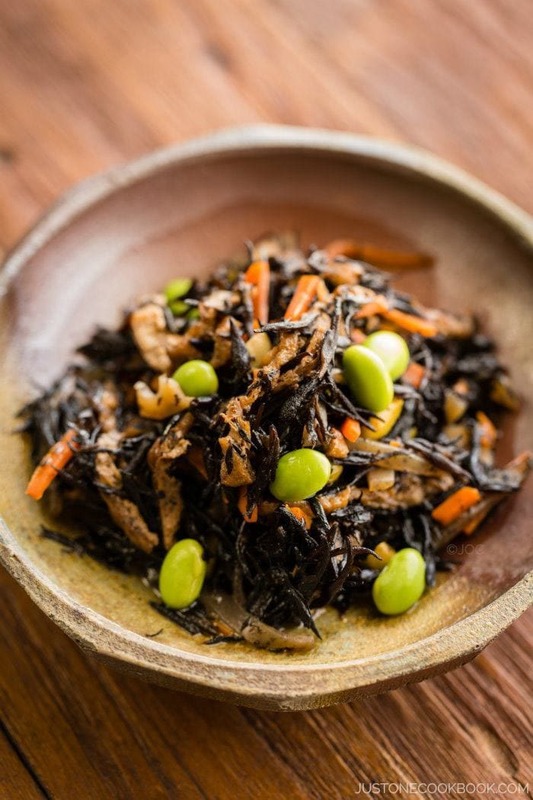 Japan has many types of seaweed from wakame, nori, to kombu. We use the specific name for each type of seaweed instead of just calling them “seaweed”. It helps identify which is the correct seaweed for different type of dishes. You can buy Aonori from Amazon and Japanese/Asian grocery stores. Or you can substitute with regular nori if you can’t find it. Besides the key ingredients above, there are other ingredients that you can add in the batter. Calamari (my favorite! ), Shrimp, Scallops, Dried small shrimp (Sakura Ebi), Mochi/rice cakes (my favorite! ), Cheese, Green onions (it’s a must! ), Pickled red ginger (it’s a must! ), Noodles (same noodles used in Yakisoba). Octopus, Scallops, Mentaiko (spicy cod/pollack roe), Chikuwa (fish cakes), Dried hijiki, Kiriboshi (dried) daikon, Shiso leaves, Garlic chives/Asian chives, Blanched potatoes, Iceberg lettuce, Corn, Napa cabbage, Bean sprout, Tomatoes, Minced or sliced onion, Daikon, Mushrooms, Enoki, Garlic slices, Konnyaku, Natto, Umeboshi (Japanese pickled plum), Pickles, Kintoki mame (金時豆), Kimchi, Potato chips, Pickles, and more. Okonomiyaki is incredibly delicious. It’s crispy on the outside and soft on the inside… However, it’s hard to convince people how delicious it is. This dish with dominant brown color is quite messy looking. Also most people stay away from mayonnaise. It’s been a huge challenge for me to take pictures of them that shows its deliciousness. For fun, I’ve included photographs from all 3 of my attempts to shoot okonomiyaki (2011, 2014, and 2016), and I’m still not very satisfied. One day I hope I can convince you with ONE picture! If you prefer Hiroshima-style Okonomiyaki recipe, click here. 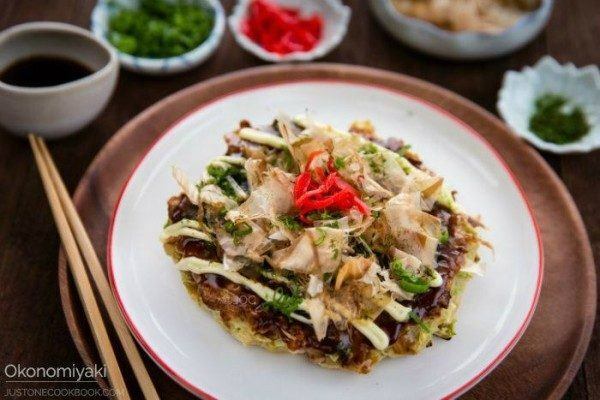 This Okonomiyaki recipe is from my friend Hiroko who’s originally from Hiroshima. 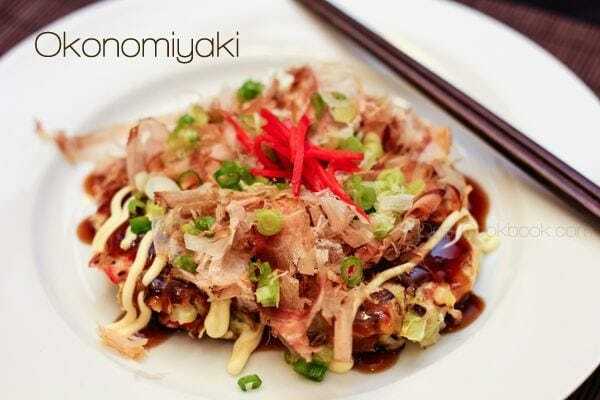 She cooked this delicious okonomiyaki years ago when she visited us from Los Angeles and we were really impressed and asked her for the recipe. Thanks Hiroko! Peel and grate nagaimo in a small bowl. It can get itchy, so work quickly and rinse your hand right after. Nagaimo is very slimy and slippery, so make sure you have a good grip if you wear a glove. Add the grated nagaimo and dashi in the bowl. 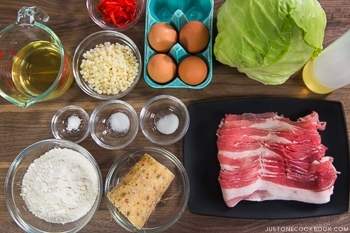 Gather all the ingredients for Okonomiyaki Sauce. 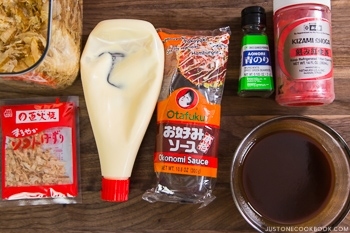 To make homemade Okonomiyaki Sauce, combine 1 ½ Tbsp. sugar, 2 Tbsp. oyster sauce, 4 Tbsp. ketchup, and 3 ½ Tbsp. Worcestershire sauce in a small bowl. Mix all together until sugar is completely dissolved. Remove the core of the cabbage and mince it. Set aside to let the moisture evaporate so it won’t dilute the batter. 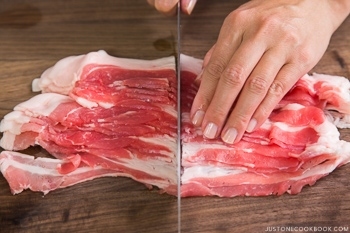 Cut the pork belly slices in half and set aside. In a large pan, heat vegetable oil on medium heat. When the frying pan is hot (400F/200C), spread the batter in a circle on the pan. We like thicker okonomiyaki (final thickness is ¾ inches (2 cm)). If you’re new to making okonomiyaki, make a smaller and thinner size so it’s easier to flip. Place 2-3 sliced pork belly on top of Okonomiyaki and cook covered for 5 minutes. When the bottom side is nicely browned, flip over. Gently press the okonomiyaki to fix the shape and keep it together. Cover and cook for another 5 minutes. Here are the ingredients for toppings. Apply okonomiyaki sauce with brush, add Japanese mayonnaise in zigzagging lines (optional), and sprinkle dried bonito flakes (katsuobushi). You can also put dried green seaweed (aonori), chopped green onions, and pickled red ginger on top for garnish. Please see the video for this step. If you have a Japanese griddle with a lid (We call it “Hot Plate”), you can cook several okonomiyaki at once! Otherwise, I recommend cooking two okonomiyaki (each in one frying pan) at a time. Okonomiyaki freezes well. Once it cools down (no sauce or toppings), wrap each okonomiyaki in aluminum foil and put it in a freezer bag. When you want to eat it, defrost first and put it in a toaster oven or oven to heat it up. It's a great quick meal! 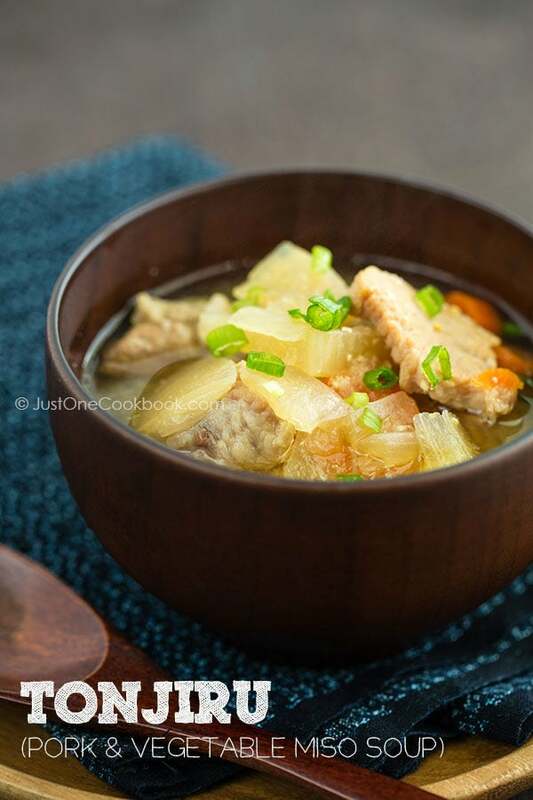 Dashi: If you don't have homemade dashi, you can use 3/4 cup water + 1 tsp. granulated dashi (dashi powder). Sliced Pork Belly: You can use shrimp, squid, or other ingredients instead. Editor’s Note: The post was originally published on Mar 2, 2011. Images were updated in March 2014 and July 2016. The video and more detailed content were added in July 2016. This is very similar to the okonomiyaki recipe my mother makes, she is from Hiroshima as well. I will try making it with organic cabbage as recommended. Thank you for your comment! I think organic cabbage made a big difference since that’s pretty much the main ingredient. Enjoy! Thank you Nami. This and th Ginger pork were the first dishes I cooked from JOC. It was okonomi so I used shrimp. Both were delicious and your post is very detailed and so easy to follow! 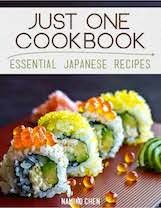 I am glad that JOC will help to teach me a lot more about Japanese cooking. The toppings on the Okonomiyaki all complimented so well. Alisa really enjoyed it. Oh, and the Nagaimo is such cool stuff! Is it used often to thicken things? It seemed almost like glue. Duomo arigato gozaimasu! Hi Todd! Oh I’m so happy to hear you made Okonomiyaki & Ginger Pork! Yaayyy! This is the happiest moment when I learn someone cooked my food and liked it. Thank you for taking your time to give me your feedback! Okonomiyaki is my favorite food… I love mayo & okonomi (tonkatsu) sauce mix. Glad Alisa liked it too. =) We sometimes use Nagaimo for “thickening” but we eat it as ingredients too. It’s so expensive here, so I only buy it for Okonomiyaki. 🙂 You made my day! That looks so delicious! Am sure it is as good as it looks! Wow, that looks amazing! I love the step by step method shown. OH!! My favorite okonomiyaki. You make it so easy. I made it once (maybe a few months ago) with yakisoba noodles. They were horrible, tasted and looked like yakisoba with an egg 555. It was hard. I need more practice. Maybe I will give another try with your recipe. I am glad I spotted this, I would love to try it your way. When I made this I didn’t have Japanese mayo…I thought it would be too sweet. Hi Nami – I found your blog through Biren and then started exploring. So glad you have a recipe for okonomiyaki as it is the one obsession I brought back with me from Japan! Have never made it myself (there’s a restaurant in London where I go for my fix every now and then) but with your recipe in hand, I might be brave enough. Hi LA! Okonomiyaki and Takoyaki are similar, but Takoyaki batter is thinner than Okonomiyaki batter. Nagaimo (長芋)/Yamaimo (山芋) – different name depending on regions. It’s not exactly same as one you can buy from store but pretty close. Hope this helps! Thank you Nami San for the recipe. I will try cooking it for my kids. I love okonomiyaki! I didn’t know it was so easy to make, thanks! This was so delicious!!! It transported us back to Japan and it was pretty straightforward! I didn’t end up using the whole cabbage and it turned out like the okonomiyaki at the restaurants we ate at. can you use regular potato instead of that potato you are using? Is it just to thicken the batter? Hi Charlotte! You can completely omit it, but knead the batter well after you add the cabbage and all the ingredients. It helps a bit. You can also increase baking powder to 1/2 tsp. Do you know satoimo (Japanese taro)? It’s slimy like nagaimo. You can boil it first and smash it as it’s harder than nagaimo (it may be harder to grate). Or like you said, you can use potato, but not sure as I’ve never used it before. Unfortunately I do not have satoimo in the area. I am Australian and Japanese groceries not super available yet. I will try regular potato and let you know how it turns out. Hi, I know it was a long time ago, but I could really use info on whether the potato worked or not, thank you! I saw pre-packed okonomiyaki powder in the supermarket. Is it a good alternative? I do not have a griddle pan so will making it one at a time. 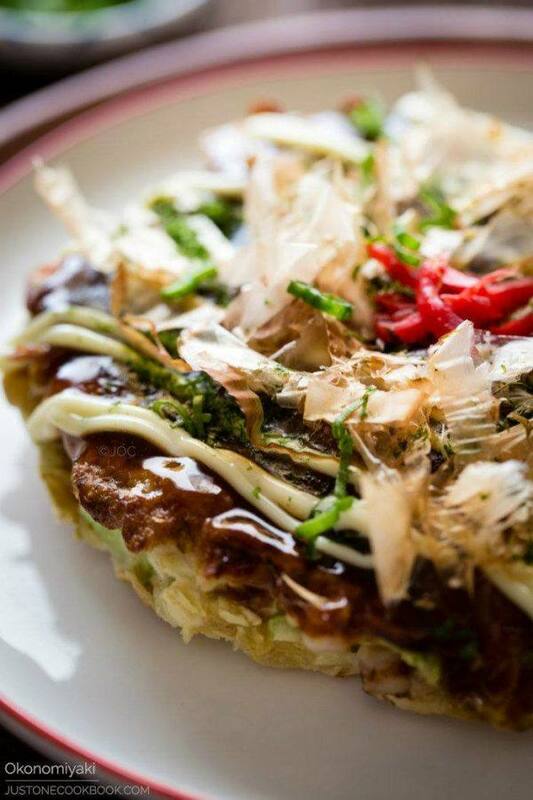 Will the okonomiyaki still taste good after it has cooled down? Thanks. Hi Ju! I just received email about your comment today – but now I look at the date and it says Feb 7… I have never had this issue before, but I apologize for my late response. Yes, you can use those packaged one. You can make one at a time on a frying pan (just like regular pancakes – but it takes a little longer to cook than a pancake). It’s best to be eaten right after cooking. If there is oven/microwave available I would recommend to reheat it. 🙂 Hope this helps! I love your recipes ^ω^ everything I tried making turned out delicious! And my family loves them too!! 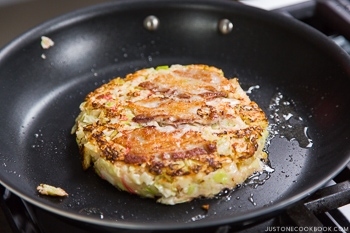 I love the okonomiyaki but I was wondering if you have a recipe for monjayaki as well. Hi ! I wanted to know, if we don’t have nagaimo or yamaimo, what can we use ? is it possible not put this ingredient ? I just found your site, and I love it! 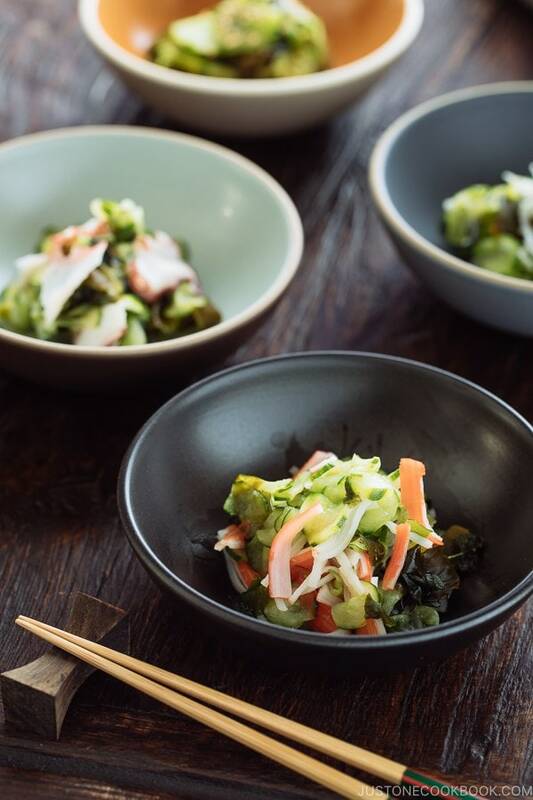 My Japanese grandmother always made such wonderful food, so I’m always on the look-out for delicious and easy to make, Japanese recipes. Okonomiyaki is one of my favorites! I can’t wait to try this! Hi Damie! 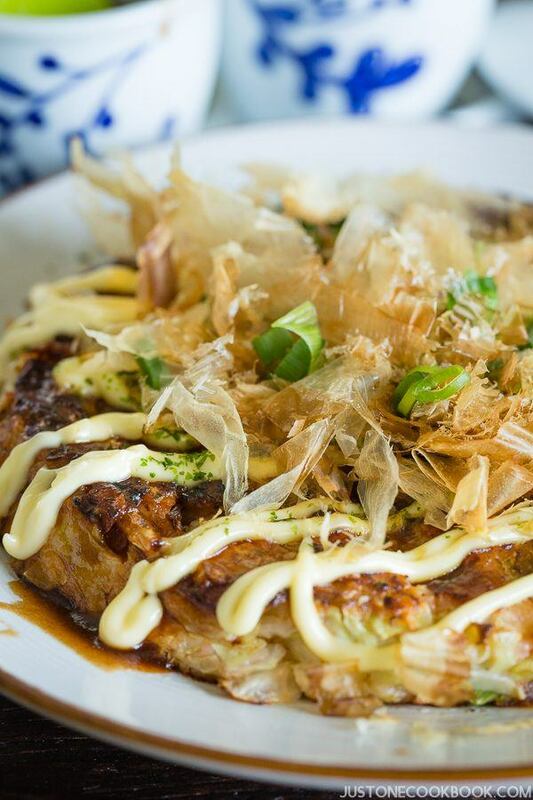 Good to hear you enjoyed Okonomiyaki! 🙂 Thank you for trying this recipe! *Drolls* This makes me wish I was back in Osaka. I guess I will have to wait 2 more years until I am able to. I miss my friends… and the Home Made Okonomi sauce… so much better then store bought! Hi Yuuki! Yes, Okonomiyaki in Osaka is the best! I have to make my own till I get to eat it in Osaka… 🙂 Thank you so much for the comment! Thank you so much for this recipe! I was actually planning to go with a recipe from another site, but as we walked to the store checkout my husband pointed and said “What’s that!” It was Nagaimo, which I had’nt even put on my shopping list! Now that I had the secret ingredient, I needed a new recipe that used it and found yours. This is SO GOOD. I omitted the bacon (sad, I know) and subbed shrimp for the squid (will definitely try squid next time) and it still turned out so so tasty. Can’t wait to try more of your recipes now! Hi Beth! Thank you so much for writing! 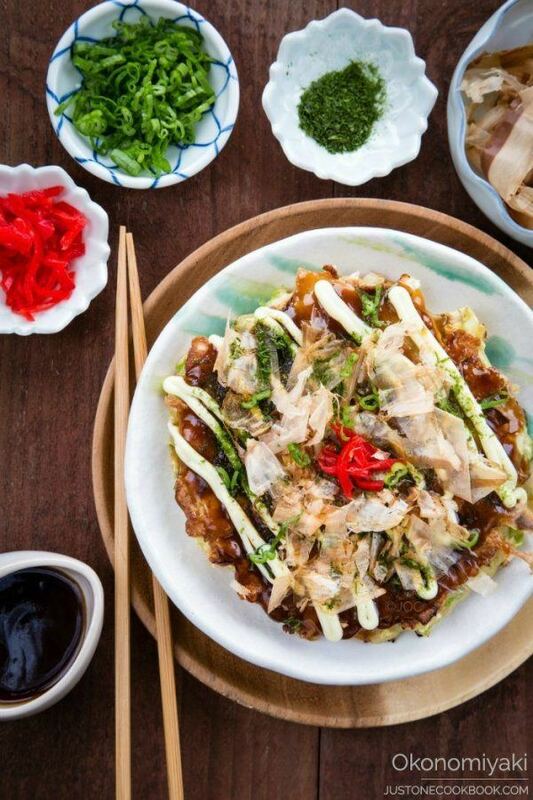 I’m so happy to hear you enjoyed this Okonomiyaki recipe! Yay! Nagaimo is very important to get that texture of okonomiyaki (otherwise the batter is too flat). I’m glad you found it as I assume a lot of people won’t be able to find it unless they have a Japanese grocery stores… Okonomiyaki can be any ingredients. Try adding your favorite ingredients. I like adding mochi in mine. 🙂 Hope you enjoy other recipes from my blog too. Thank you for your feedback! There is an error in your link to the hiroshima style. You accidentally added an additional “http://” to the end of it. I like japanese cuisine , especially okonomiyaki. Your recipe looks great easy to do.thanks! Awesome! Thank you so much for your kind feedback! It’s slimy and help bind the batter together. Tried your okonomiyaki recipe today . Comes out perfect! Thank you for all the wonderful and fool-proof recipes, saves me a lot from searching from one recipe to another. Hi Nami, thank you for this recipe! I enjoyed Okonomiyaki when in I was in Osaka and I wanted to be able to have it a home. This came out just right! I was able to substitute the nagaimo with kamoteng kahoy. It’s a root crop found here in the Philippines and it came out very well. Thank you! Hi Sylvia! Thank you for letting me know about kamoteng kahoy! I’m sure all of my readers from the Philippines appreciate your feedback. 🙂 I’m happy to hear you enjoyed this recipe. Thank you!!! I hope you and your family are enjoying your visit to Japan and your home renovation goes well and is completed in a timely manner. I have enjoyed preparing quite few of you recipes so far on your blog and look forward to enjoying many more as time permits. I find your instructions to be very clear to follow and your excellent photographs are a great bonus. I have wanted to make Okonomiyaki for quite a few years since I have enjoyed it many times in Japan and your great blog has inspired me to give it a try. I even bought a new Zojirushi rectangular griddle today so that I can make lots at one time when we have company. Our friends who own a Japanese sushi restaurant here in Toronto Canada coincidently requested it last night. I made them your Sukiyaki last time they we over for diner and they loved it so I’m sure this dish will also be a success. So my question is how can I print your photographs and instruction paragraphs with the recipe without all the other on screen background graphics as the page reformats when I try to print it. If you can’t get mountain yam, add 1/4 cup cornstarch per 1 cup all purpose flour, gives it lift, body, and acts as a binder. Just don’t over mix and use the batter asap or the bubbles in the cornstarch and baking powder will disappear. Made some for dinner and was expecting leftovers for tomorrow’s breakfast, not a single one left. Hi Hondo! Thanks for your substitute tip for Nagaimo! It’s hard to find if you don’t have a Japanese or Asian grocery store, so your information is very valuable. Thank you! 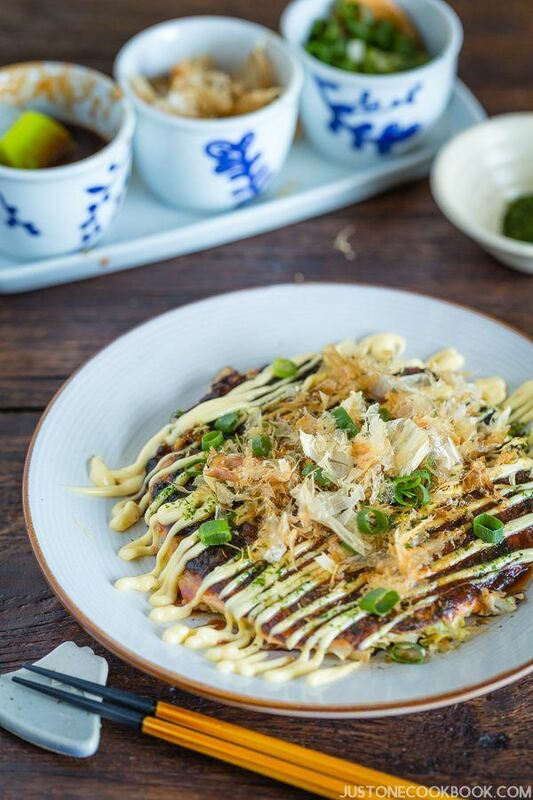 Your okonomiyaki recipe is one of our family favourites now! Amongst many other recipes from http://www.justonecookbook.com. 🙂 It’s a great way to get my children to eat cabbage! I initially used grated zucchini for this recipe because it has a softer texture. Then just last night, I mixed in pre-steamed shredded cabbage, and it worked really well! My children called it “veggie pancakes”; and they even asked for more!! Hi Elvina! Awesome! I’m so happy to hear you and your children enjoy this dish! Yeah we use a lot o cabbage for Okonomiyaki night. 🙂 You made me want to eat Okonomiiyaki now…. I’m so happy to hear your kids liked this recipe! Thank you for your kind feedback! Hi, I was just wondering if you could use regular or egg Mayo if you can’t get Japanese Mayo? Hi Kira! I highly recommend Japanese mayonnaise because it has more egg flavor and it really goes well with Okonomiyaki / Tonkatsu sauce… American mayo is too creamy and too bland and no taste (in my opinion) for Okonomiyaki. It’s not the same, but you can turn American mayo to Japanese mayo. Also, in case you don’t have Tonkatsu sauce or Okonomiyaki Sauce here’s a recipe. Thanks for this easy to follow Okonomiyaki (and sauce) recipe. It took us back to our wonderful time in Hiroshima-Ken. I plan on making this for the kids this weekend while we watch Japanese dramas on the computer. Hi Angie! Wow I’m so happy to hear you enjoyed this recipe! Yay! Yes, it’s possible. But please understand that Okonomiyaki is best when it’s made fresh. However, I understand your situation. And I always feel even leftover tastes good, so I think you can make like all the okonomiyaki ahead (40-50 okonomiyaki? 2-3 per person?). Or make half and make half fresh etc…. If you make ahead, please use oven or oven toaster to reheat. Don’t use a microwave to heat up, it will be soggy and soft. Since it’s a lot, you might want to pan fry some of them to speed up process too. It’s already cooked, so you just need to make it crispy – maybe 400F (200C) for a few minutes (if not frozen). Just check and see – you don’t want to burn it or inside is cold. Hope this helps! Good luck, Angie! Thanks, Merry Christmas and HNY to you too! I’ve tried this recipe with a friend and found it scrumptious! As a personal variation I’ve added shrimp instead of squid. It’s sad I couldn’t find the red ginger anywhere, because it does have a distinctive taste. Surprisingly, I didn’t miss the bonito that much, as the dashi inside guaranteed the “fishy” taste. Hi Sally! How wonderful that your daughters are both studying Japanese! And you’re cooking Japanese foods! I’m super happy to hear that three of you are enjoying Japanese culture. Thank you for trying out my recipes! There are quite a bit of Japanese (expats and students) live in Australia and I have heard that there are pretty good Japanese supermarkets there. Hope you can find ingredients you need. 🙂 Thanks so much for your kind feedback! So my question; can you maybe freeze Aonori? Liek you would freeze some herbs or chive? They also send me Shiratamako+Joshinko which expires next month. I really do not not know how to use it up so quickly, but I guess flour is usable longer than the expire date if stored dry. I will try to freeze it, it is still better than throwing it away. I was really angry when I got the parcel. 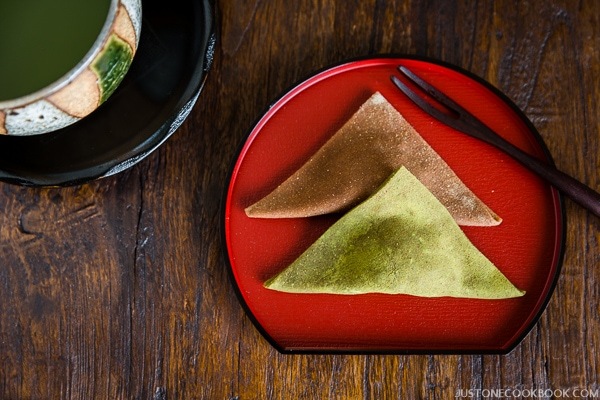 Is it possible to make Aonori by myself? Out of Nori sheets maybe? We don’t make aonori from scratch. Usually fisherman gets the seaweed/plant and dried, then make into powder. Hi Nami! 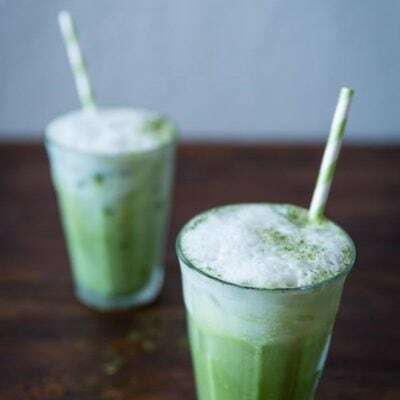 I love this recipe and have made it a few times, I love how it freezes so well. I do run into one issue over and over again, during step 1-3, when I use 3/4 cups dashi /liquid to 1 cup flour (and a tsp or so other things), I always end up with a dough rather than batter, in the times I made it I often double the dashi to ensure we get to a thick batter. Is there something I’m doing wrong or reading wrong? Made this for the first time. I always thought okonomiyaki is really difficult to make – now i know better. Its quite hard to find mountain yam even in Singapore (and expensive!) but i substituted with potato starch (which i had handy – does not taste as yummy but it still works. Loving your recipes , and thank you so much for sharing them. Hi Lizzie! Thank you for trying this recipe! It’s always a myth when the food is something you never cooked before. 🙂 Glad you gave it a try and liked this recipe! Thank you for the potato starch trick! 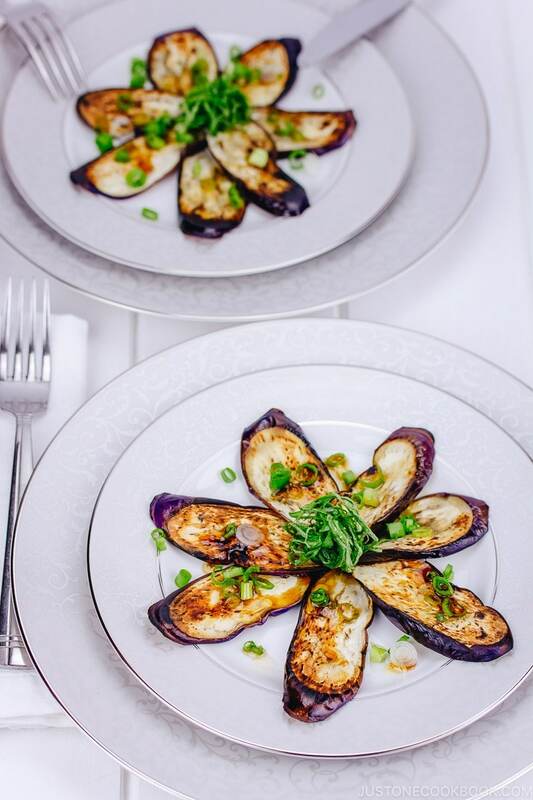 I”m so happy to hear you enjoy my recipes. Thank you for following my blog! I have been hungry for okonomiyaki. Thanks for reminding me of what I want to eat! Glad you brought this dish back! It’s such a good one. Nice to see the video, too. I can see why this is a good dish to order at a restaurant — there are dishes that I can make at home pretty well, but restaurants make better. Anyway your version of this looks terrific! You could run a restaurant. 🙂 Thanks so much. Fabulous recipe Nami. I made it for my family while on holiday on Berlin. My son is a vegetarian and I added lots of shredded veggies. Using nagaimo is really worth it. Great Asian grocers here I could get everything I needed. I haven’t made this in a while since I have to plan on having shredded coleslaw mix in the house for it. One of my favourites though. This looks SO delicious!! I love savory pancakes and my mouth is watering over all the yummy ingredients in here! My family would gobble this up in no time! Thanks Nami! I have never had the luck or pleasure to have this but I’ve been dying to! I wonder if you could use panko instead of tenkasu? I started making Okonomiyaki after trying it it in a Japanese restaurant. It was delicious. Your post has helped me to tweak and better my version of it. Since most of the ingredients are hard to come by here in Holland, I had to resort to some other ingredients. Many thanks for your view of the dish. Your recipe was well written and gave me a lot of insights. It’s not just a recipe, it’s a journey, and thats what i loved about your recipe. Hi Thao! Yes! Tag #justonecookbook on Instagram (if you use @justonecookbook I may not notice) OR share the picture on Facebook fan page! I look forward to seeing it! Absolutely delicious!! I pretty much followed the recipe exactly except doubling the portion for lunch next day. I didn’t have time to rest the mixture for one hour in the fridge but it still came out great. I managed to gather all the ingredients in Vancouver, BC, Canada. Lucky. Ever since I discovered your website I am so inspired to try Japanese recipes which I rarely did since I left Japan way back when. Thank you for the inspirations and we shall continue cooking. Cheers. I love your site. 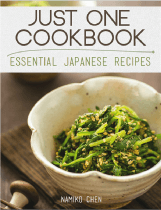 I am a huge fan of your site and use it whenever I want to make a Japanese dish. I have made a few dishes from it and they are all delicious. My favorite so far is the TonKatsu. I want to try making this, but I was wondering if bacon is the same as pork belly used in this recipe. I don’t know if I can find regular sliced pork belly. I made this tonight after having Okonomiyaki for the first time in Osaka this summer. I couldn’t get mine as crispy on the outside but it was still plenty delicious! I ended up cooking the pork pieces first and including inside with the batter because I didn’t have the super thin slices. It still turned out great. I’ve tried a lot of your recipes now and every single one has been a winner. I think I could eat Japanese food 24/7 forever and not get tired of it. Thanks! Hi Deb! Thank you so much for your kind feedback. 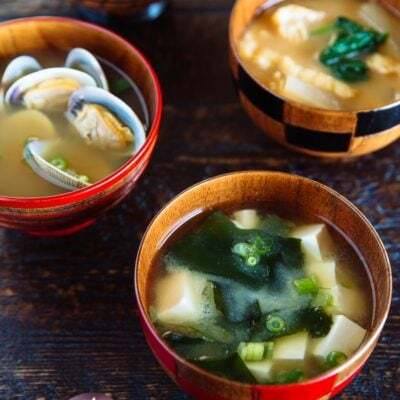 I’m happy to hear you like Japanese food and tried many of my recipes! The “crispy” part comes with some extra oil that comes out from the (fatty) pork belly slices. If you don’t use it outside, you might want to add a tiny bit more of oil and that will make the okonomiyaki crispy on the outside. 😉 Thank you for your kind comment! Made this tonight – no matter how hard I tried, I couldn’t quite make it look picture-worthy, but it tasted damned good! So delicious, mine didn’t quite look as pretty but so yum. I need some practice with my pancake flipping skills! This was delicious! Thanks for the recipe! Wondering, can we keep the finished batter (with cabbage, etc. already inside) in the fridge for a few days (it was more than we could finish)? Or will it get too wet? Thanks! I’m Shuni. I want to try this recipe. But since I only have tororo (Gagome Tororo Dashi) and no nagaimo, can you suggest how much tororo I need to apply for this recipe? Hi Shuni! The amount of tororo should be the same as I specify here, not related to Nagaimo. I know nagaimo is not easy to find outside of Japan, so you can skip or replace with grated potato or taro root (I haven’t tried but heard from JOC readers it works). Hope this helps! No, Nami. This doesn’t help at all. In this link: https://www.justonecookbook.com/pantry_items/nagaimo/ you said grated nagaimo is called tororo. That’s why I wanted to replace the nagaimo with tororo. a) “not related to Nagaimo” –> So grated nagaimo is called tororo but not related to tororo?? b) “as I specify here” –> Where is ‘here”? I can’t find it. Oh I now see where the misunderstanding was. In your first comment, you mentioend Tororo Kombu. So you can’t replace one another. Sorry about as “I specified here” comment – I mixed up with Hiroshima style Okonomiyaki, which uses TORORO KOMBU, while I am answering for Osaka style Okonomiyaki post… I answered too quickly. Sorry for late respond. Have been busy with my new toys. LOL Actually I tried this recipe immediately after reading your reply. I substituted tororo with tofu as you mentioned here. I didn’t try the Hiroshima style, because it doesn’t sound like the okonomiyaki I use to know. Yeah, I got mixed up between “tororo” and “tororo kombu”. Sorry about that. I bought tororo kombu when I went to Hokkaido last month. I’ll have to think of something else to make of this tororo kombu. Since I had traveled far away to purchase it, I don’t want to make something just for the sake of making something. How can I replace the nagaimo? I tried this just the other night. In a word — fantastic! — and I can’t wait to try some more of your recipes this weekend. I made a mess of flipping them over, but they were enjoyable just the same. All the ingredients work so well together; just the right proportions. Next time, however, I am going to make a half batch. All five of us in my family ate this and I still had over half left over; it makes a huge amount. Three of us had second helpings, as well. We ate it with rice, as that’s how my students from Kobe and Osaka would eat it. Thank you so much for your site and your recipes. Can I substitute tempura scraps (Tenkasu/Agedama) with Japanese Bread Crumbs? 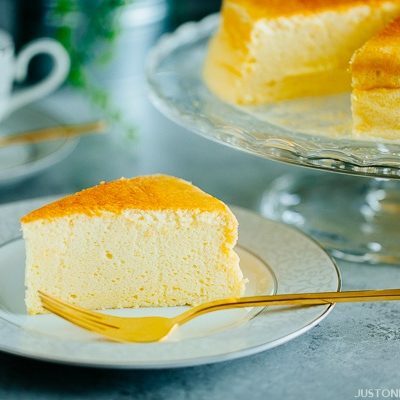 About recipe, unfortunately, I couldn’t find Nagaimo/ Yamaimo where I live.. Can I skip it or replace it with something else? tried this recipe and the whole family loved it . used silken tofu instead of nagaimo as I am allergic to it but it was still very tasty! Hi Colette! Thank you for trying this recipe, and I’m so glad your family enjoyed it. What a creative alternative to Nagaimo! Thanks for sharing that with me and JOC readers! My God Nami! I can’t get over your collection of ceramics!! Where did you get the condiment bowl set with the blue leaves? And could you please add to the Pantry section with your ceramics and recommendations for traditional serveware? Hi Germenn! That one… where did I get it… I think… World Market from like 6-7 years ago?! I buy my ceramics mostly from Japan and bring them back, so I can’t really list them. 🙁 I can’t find anywhere online or locally… what type are you looking for? Hi Nami, Thank you for taking the time to reply. Now I have more reason to make that trip to happen Japan! Meanwhile, I made my first okonomiyaki and it was excellent – threw in some shredded brussels sprouts and made mini pancake sized appetizers. They were a big hit but I’d really want these for an entree next time. The little ones were gone in two bites. Yummy, thank you so much for such a well laid out recipe !!! Thanks for sharing the recipe. I hope to try to cook it. I first had it in Japan when I was there 16 years ago, and again a couple years later, and I will never forget how delicious it was. I really miss it. I live in Tucson, and I’ve called all the Japanese restaurants to see if any of them serve Okonomiyaki, but sadly, none of them do. It seems pretty complicated to make, but I’m sure it’s worth it. Yesterday I cooked a Japanese dinner which I have never done before. I cook Vegetable Tempura, Vegetarian Ramen, Okonomiyaki and Japanese cheesecake. It was delicious. Thank you so much for the great recipes and the detailed instructions. I had to use many ingredients, that I had never even heard of before. It was so much fun experimenting with new food. Man oh man. I just made this and added squid and shrimp. My husband ate 3 whole ones and washed them down with 4 beers. I think it tasted good. Haha! This is the best recipe hands down. I will be making this for years and years to come. Thank you so much!! Thank you for this recipe! I lived in Japan briefly and okonomiyaki was my favorite food. This is the best recipe I’ve found, it tastes very similar to the okonomiyaki I had in Japan, really tasty! I dislike frying things because it’s messy, but I can see how this dish would suffer without adding something like tempura pieces. I think for convenience, fried onion bits like we use for green bean casserole would be a great, flavorful substitution! Hi Kim! Ah that’s a great idea! Thanks for sharing your idea with us! Hope you enjoy this recipe! I haven’t figured out how to get pics from my phone to my computer to your site. Working on it. Hi Thomas! Nice, I am so happy you enjoy making Okonomiyaki! Thanks for sharing your picture with me. 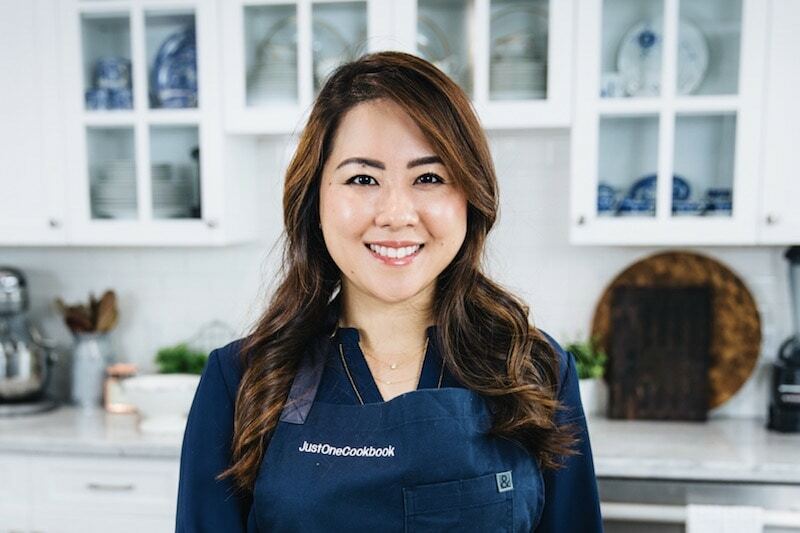 If you use Facebook, Twitter, or Instagram, you can share your photo….and tag me and put #justonecookbook so I won’t miss it. 🙂 Thank you! I found a better substitute for nagaimo instead of potato or tofu, which is tapioca powder. Tapioca is a starch extracted from cassava root. For details: https://en.wikipedia.org/wiki/Tapioca I personally think cassava is related closer to nagaimo than potato. When liquid is added, tapioca becomes gluey (also). In one of the comments here, a reader from the Philippines mentioned a substance which I checked turned out to be cassava. Since tapioca powder is completely dry, unlike grated nagaimo or potato, I added another 1/4 cup of dashi to this recipe. Hence, 1 cup of all purpose flour, 1 cup of dashi, and 3/4 cup of tapioca. The rest all the same. 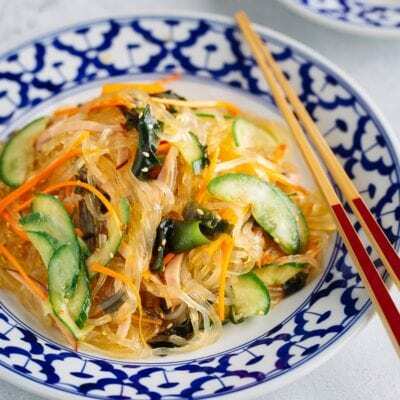 If you use grated cassava, maybe you wouldn’t need to add the dashi amount. But, I haven’t tried that yet. Hi Shuni! Thank you so much for your detailed feedback! This will be very helpful for those who can’t get nagaimo. Thank you Shuni! Excellent! Domo agitato gozaimasu. Oishi desu! I have used your recipe many times, thanks for sharing. We love okonomiyaki! Hi Phill! Thank you for using my recipe! I’m so happy to hear you enjoy the recipe. Thank you for taking your time to write your kind feedback, Phill! 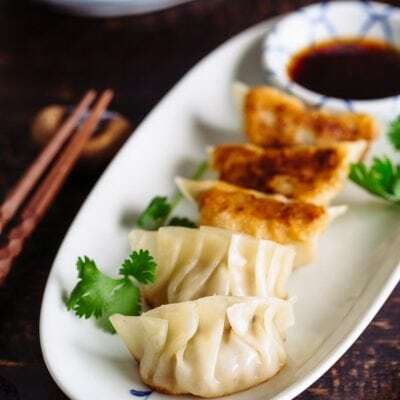 – How much silken tofu shall I use for this recipe? 150g? 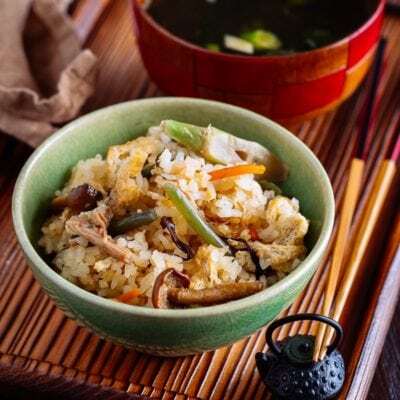 – Do I need to dehydrate the tofu before adding to the okonomiyaki mixture? – When do I add the tofu? Before resting the batter in the fridge? Together with the eggs etc. or right before cooking? I experimented with tofu the other day and the result is great! My hubby actually told me the okonomiyaki tasted yummier without me telling him that I’ve made changes to the recipe. 🙂 I whisked the tofu in, like you mentioned, but along with the tempura scraps. The batter turned out slightly thicker than the previous times. Thanks for your reply. Will be checking out your soup curry next! Thanks for the recipe! I was a bit worried that I wouldn’t be able to find nagaimo, but my local Chinese supermarket had it, so I was able to follow the recipe exactly. It turned out so well, and it reminded me of the okonomiyaki I had when I visited Osaka. Delicious! Hello, is it alright if I omit the cabbage out and replace it with green capsiums? Hi Nami, we love okonomyaki and I always turn to your recipe as it is pretty much the same as I was shown by my friends from Tokyo. I just watched your video again, now I have to make okonomyaki again. Thanks for your recipes, Darryl. 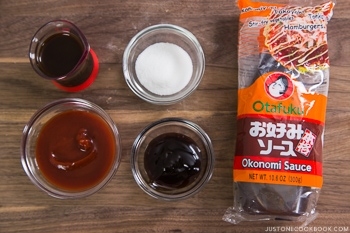 I love your version for a quick okonomiyaki sauce, I use it when I don’t have any store bought sauce on hand. I recently made my own version of simple mini okonomiyakis and mentioned that your sauce is a great one in my blog post. Thanks! I have been dreaming about okonomiyaki ever since I saw the recipe here (and after shamelessly watching Terrace House B&GItC. I never thought I’d be able to make it though, but your recipe is amazing. Living in Mexico I did have to adapt it: 1/4 cup of corn starch instead of nagaimo, homemade pickled red onion instead of red ginger, and a lighter than air, Cheetos-like, local snack called Totis instead of tempura scraps. I also used shredded cooked chicken (mixed into the batter) because I forgot to buy bacon. I am SO happy! And your sauce recipe is awesome too. Arigato! Followed your recipe and it turned out sooooo well!!! Ever since I was a kid I’ve wanted to try okonomiyaki, ten years later I found this recipe and tried it and finally got to fulfill that longtime craving. Thank you so much for sharing! I have a question though. 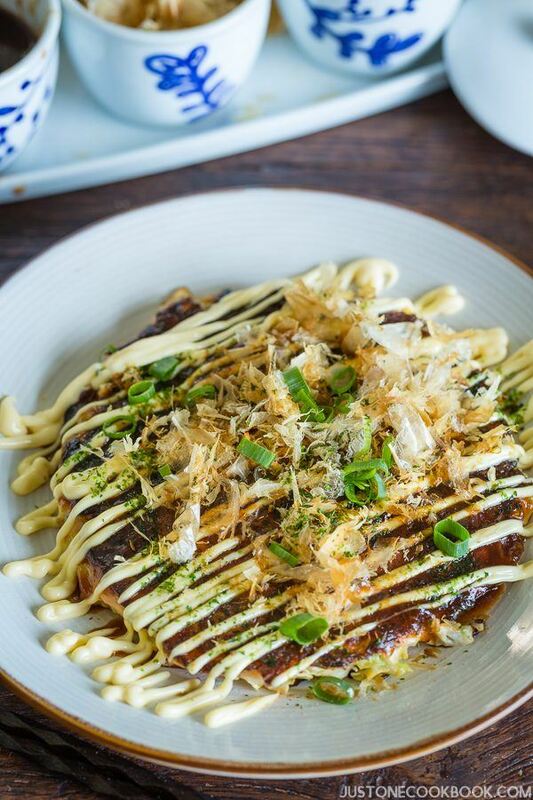 You mentioned that okonomiyaki with mochi is one of your favourites. How do you prepare them though? Do you preboil/prebake them? Somehow I cannot get it right with this ingredient. And we usually cut into slice pieces, about 5 mm thickness or so. During the steaming process, mochi will be softened. As always, thanks for the great recipe Nami! I made this last weekend and didn’t do a great job as I was still getting used to it, but made it again this weekend and it was terrific! For those who (like me) have some trouble flipping, just invert a plate on top (or inside of) the skillet and then invert the whole skillet to drop the okonomiyaki onto the plate. Way, way easier than doing it with spatulas in my opinion. It may also be worth noting that nagaimo can be grated and then frozen in baggies. At least that’s what I’ve read… haven’t tried defrosting any yet. My local market only sells nagaimo in 2 lb (!!) stalks. That’s like… *five* 4-serving okonomiyaki recipes, and the nagaimo isn’t cheap over here in Chicago. Definitely worth the trouble of freezing if it works well. I did one batch with pork belly and another with pork belly plus scallops. I think the scallop one would’ve been better without the pork belly though. I look forward to trying out the calamari suggestion next – that sounds terrific! While it’s not a traditional Japanese flavor, I think a bit of garlic (a clove or two across 4 servings?) would go nicely with that. Yummy… this will definitely become a regular recipe for us. Thanks again! Hi Todd! Thank you for trying this recipe! I love your suggestion of using a plate for flipping okonomiyaki. Great tip! And 2 pounds of nagaimo!!!!! Oh boy. You can soon open up an Okonomiyaki stand to sell it. 😀 And yes, you can definitely freeze nagaimo and use it after defrosting. If you only use nagaimo for okonomiyaki, you can grate and freeze as well. Made some squid okonomiyaki tonight with surume from the Japanese market. Oh, yeah! The pork belly version isn’t bad at all, but I definitely prefer the squid. The flavor of the squid works perfectly with everything else and it’s healthier too. 3 oz of squid per serving seems about right – that’s a little less than the mantle of one squid. Didn’t try the garlic yet, but I think a bit of that could be nice as a variation too. Maybe next time. Also – and I know this is a matter of personal taste – I find this recipe makes 4 large, *thick* okonomiyaki. I think I’ll make this as 5 servings next time in order to get slightly thinner, crispier okonomiyaki. But I know some people prefer them thicker and more custard-y inside. To each their own! Hi Nami! Thank you for sharing this delicious recipe. Since we first tried it out several years ago, it has become one of our staples. My favourite topping is scallop. I found a shortcut for nagaimo: after peeling it, I cut it into several large chunks and then finely shred it using a food chopper with a pull string. I made this tonight, but, after getting inspiration from a post in a sourdough group, I used 1 C of sourdough discard in place of the flour, and a scant 1/2 C of turkey broth left over from Thanksgiving in place of the dashi. Grated in potato, cabbage, zucchini, and carrots, and topped it with flaked tilapia and nori pieces. Quick and easy, no rest time because the sourdough was already fermenting, and my kids loved it! Thank you for the delicious 4-ingredient sauce recipe as well — paired with a spicy mayonnaise, this made for a wonderfully filling and tasty meal! Hi Valerie! Thank you for trying this recipe! How interesting that you found my recipe through a post in a sourdough group! And it is so cool to see your version and thanks so much for sharing it with us! You must be a great cook to spin a recipe with what you have, and it sounds really good!! Thank you very much for your kind feedback, Valerie! I appreciate your recipes, I’ve used them several times and they are great and clear. However, I hope you will consider switching to using more traditional cookware. You can influence people’s perception of “the best way to do things”. Teflon pans are most likely not good for anyone – certainly not for the workers who have to make them, but also for all of us who eat food from them. The entire class of fluorinated chemicals Teflon is made from accumulate in the body and are toxic to life, including human life. It’s crazy that they are still so popular. Obviously they are cheap to make, easy to clean – but most importantly they give good profits to the chemical company that has the patent on Teflon, and they have a financial interest in claiming it’s safe. Hi Andrew! I am so glad to hear that you enjoy cooking with my recipes. Thank you for sharing your knowledge and viewpoint on Teflon. I appreciate it. And I agree that food should simply be healthy. Thanks for this recipe. I’m v keen to try it. Before doing so, I would like to know the purpose of adding baking powder? How would the okonomiyaki taste without baking powder. Excellent Recipe! I tried variations (pork, shrimp and tako) but plain with nothing is also very good. Thank you! I really love okonomiyaki. This is probably my most favorite Japanese food. I really want to make this at home and I have a question. Can I use Nagimo powder instead of grating fresh one? I don’t think I have seen Nagimo at the local Asian markets but I found the powder one. Can anyone answer my question, please? Thanks! So a note on nagaimo—I was really excited to find the Latin version of this vegetable here in a local supermarket. It may be slightly different, but according to this Wikipedia article (https://en.m.wikipedia.org/wiki/Chinese_yam), these are the names for the same vegetable in different cultures (listed below). I was able to find it in Wynn Dixie down here in Key West!! Hi Jon! WOW this is super fascinating! Thank you so much for sharing this. It’s so cool you can buy Nagaimo at Latin American supermarket! Enjoy Okonomiyaki!